Whether you’re having your closest friends over for an intimate cocktail party, or hosting your entire extended family for a 5-course meal, chances are you’re on the hunt for a few delicious appetizers to serve them that won’t take you all day to prepare. We’ve already done the research for you. Here are 25 fabulous appetizers that not only taste amazing, but are also easy to prepare, allowing you to time to socialize and enjoy having company in your home. 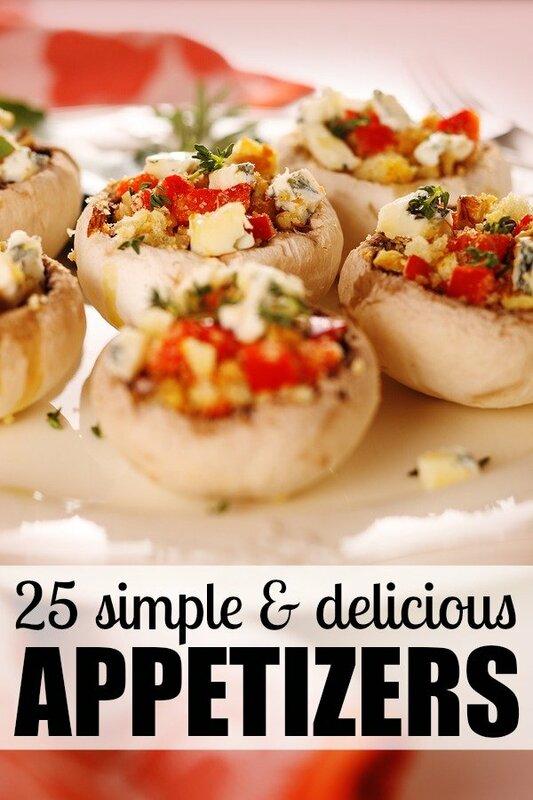 If you liked this collection of appetizers as much as us, please share it on Pinterest! And if you’re looking for more delicious recipes to add to your weekly menu, please follow our Food board where we share all kinds of yummy ideas!